New Pornographers, Neko Case wearing Leah Chun’s Poketo tee!, originally uploaded by poketo. 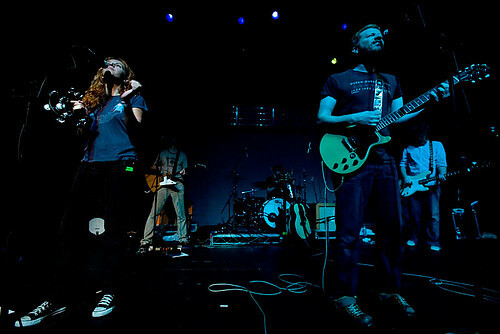 New Pornographers just played at the Henry Fonda in Los Angeles. My friend texted me, "I think Neko Case is wearing a Poketo". After a little search, I grabbed this photo from Mathias Arni. This tee design by Leah Chun. Neko’s rad.